Re-upped just in time for a rhythm 'n' blues flavoured Christmas. 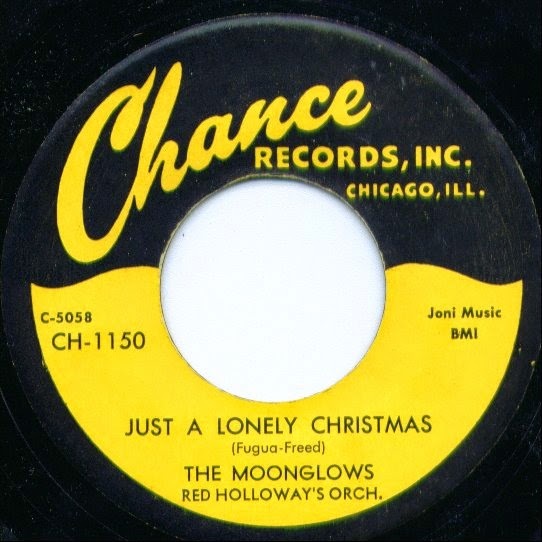 More than 30 vocal group sides full of yuletide yearning, courtesy Joan K.
Season's greetings to all of you. May we all continue to rock and roll through 2015! 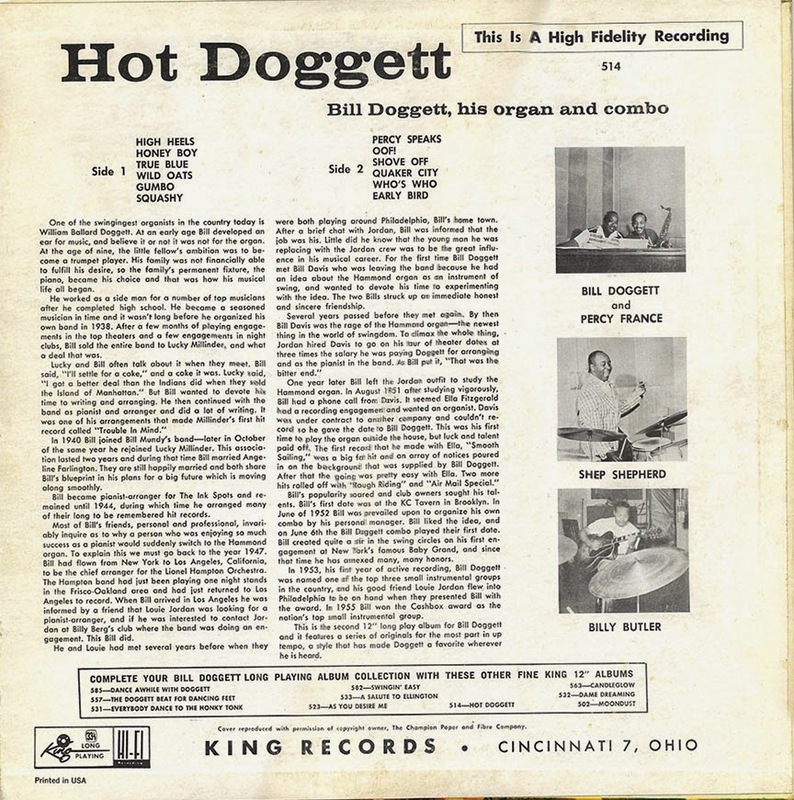 Bill Doggett LP re-upped - Hot Doggett! 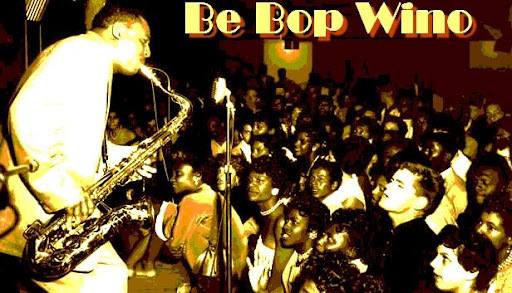 And here's a belated ending to our round up of NYC tenor sax heroes of R&b and early rock 'n' roll. Freddie's here at last, in the shape of an Official LP compilation of some of his sides for Derby, where his outfit was virtually the house band, plus good stuff for Mercury and a few other labels. 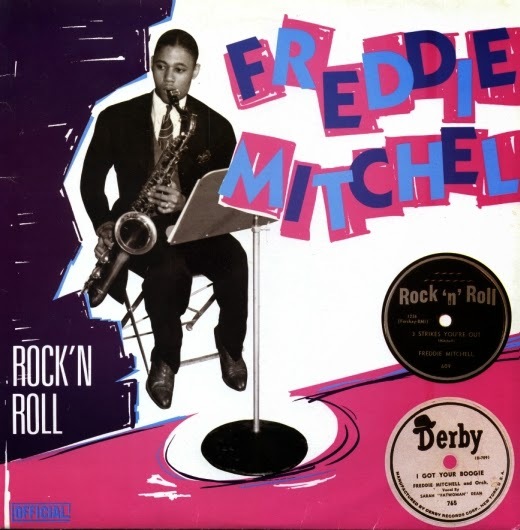 When Derby closed down, its masters were sold off and Freddie Mitchell sides turned up on LPs on the "X" subsidiary of RCA and on the Allegro / Royale budget label. 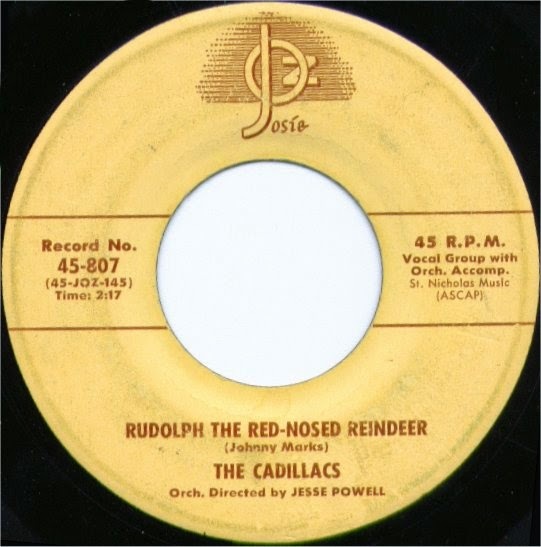 The latter was an imprint of a different RCA - not the well established Radio Corporation, but a budget label outfit called the Record Corporation of America. 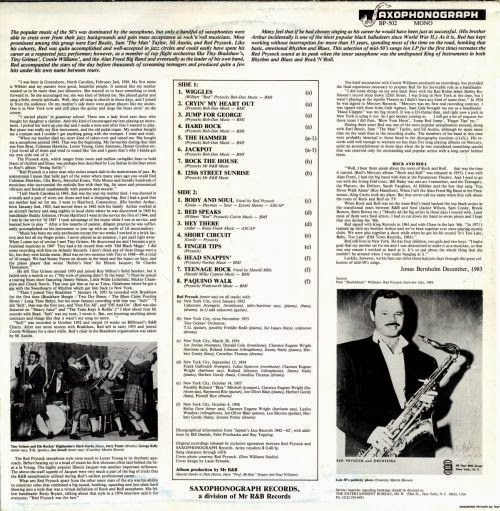 At least they reissued Freddie's sides under his own name, unlike the Remington / Masterseal / Plymouth budget LPs which released Freddie Mitchell sides under the pseudonym "Hen Gates" which is a saga which featured a few years ago on this blog. Just use the search window! 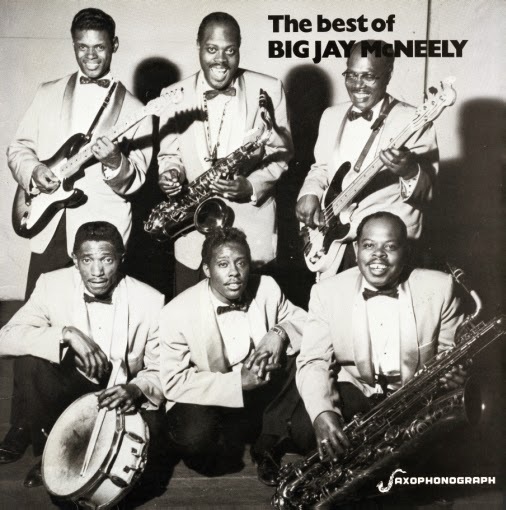 We now turn our rockin' attention to the West Coast and Big Jay McNeely. 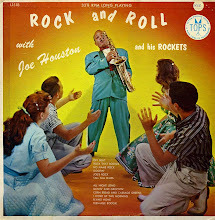 Almost at the end of the quick survey of 1950s NYC rock 'n' roll / R&B sax players. 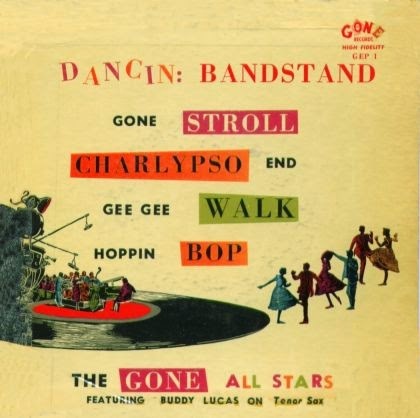 The "Gone All Stars" were led by Buddy Lucas who was a pretty ubiquitous figure on the New York recording scene, playing on many sessions for Jubilee, Groove, Savoy and a multiplicity of small labels. 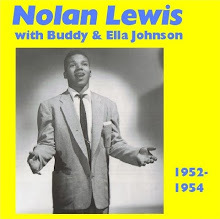 As well as leading his own groups, Buddy recorded with the Orioles, Little Anthony, Frankie Lymon, Edna McGriff, Little Willie John among many, many others. 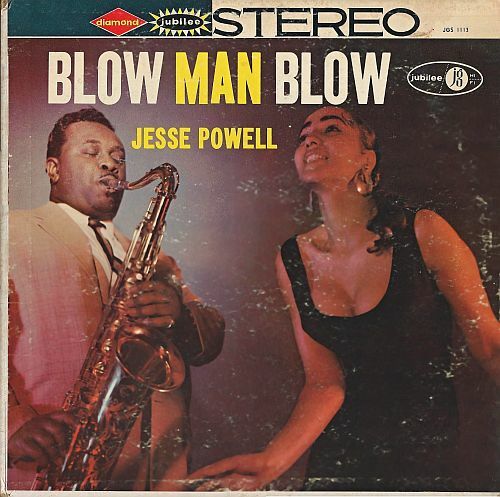 Jesse Powell, like Buddy Lucas, recorded on many rock 'n' roll / R&B sessions for NYC based labels such as Jubilee and Josie, being especially associated with recordings by The Cadillacs. 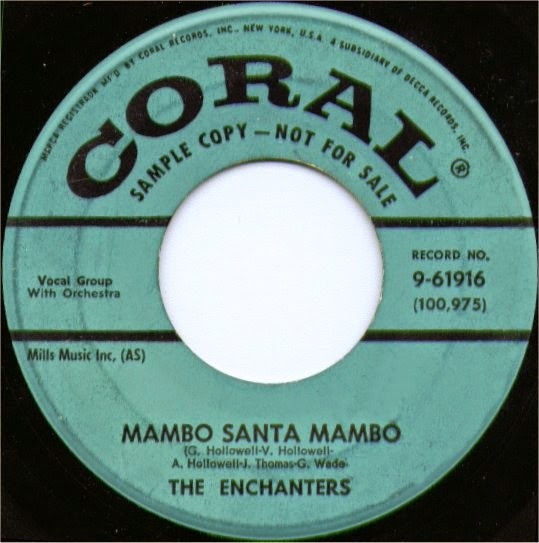 El Enmascarado supplied the Jubilee LP "Blow Man Blow" which despite its rousing title is a collection of ballad performances by Jesse. I was pleasantly surprised at the positive reaction to that quick "knock off" post. Sometimes spontaneous posts are much more successful than posts that are weeks or even months in the planning! Still to come - Freddie Mitchell. He'll be along soon, honest! 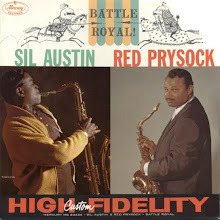 It seems fitting to post the new links to 2 Tiny Bradshaw LPs as three of our recently featured tenor sax men had spells in his band - Red Prysock, Sil Austin and Noble Watts. 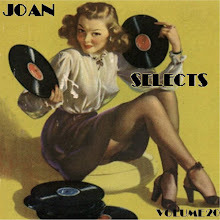 Not only do you get a fantastic LP to download, you also get biographical details and a pile of scans of labels and EP covers from Joan. 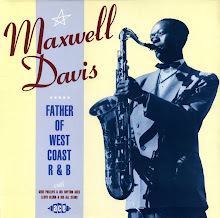 There is some duplication of tracks with "The Great Composer" but there are enough dynamite extras such as "T-99" and "Walk That Mess" to make it well worth your while downloading both albums. 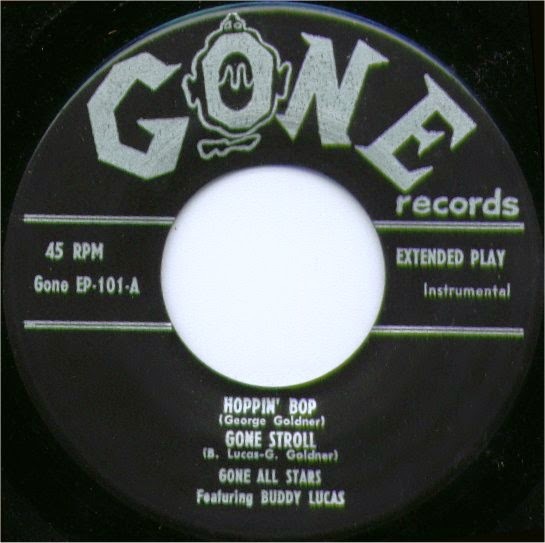 These tracks were featured in the downloadable series "Jump & Jive On 78". Okay groovers, 3 LPs by Sil Austin have been re-upped, plus I've added "Slow Walk Rock" which originally appeared on the Schadenfreudian Therapy blog some years back. For that album I've brightened up the cover scans and re-tagged the mp3s. Normally I only post my own rips or donated rips, but in this case as Schadenfreudian Therapy is no longer with us, I have succumbed to temptation. 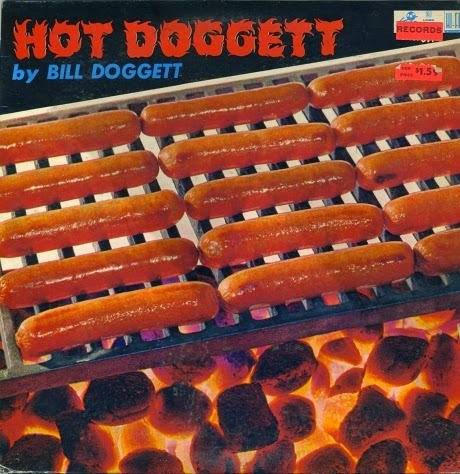 Many thanks to Baikinange for originally uploading this monstrously good LP. 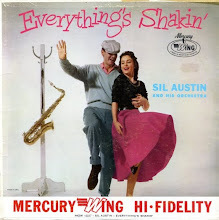 You will find an outline of Sil's career, download links, plus updated artwork for "Everything's Shakin'". 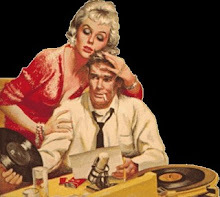 Here are the new download links if you don't wish to read the original post although I strongly recommend that you do as it will transform you from a hopeless square into a stylish, suave and knowledgeable hepcat. 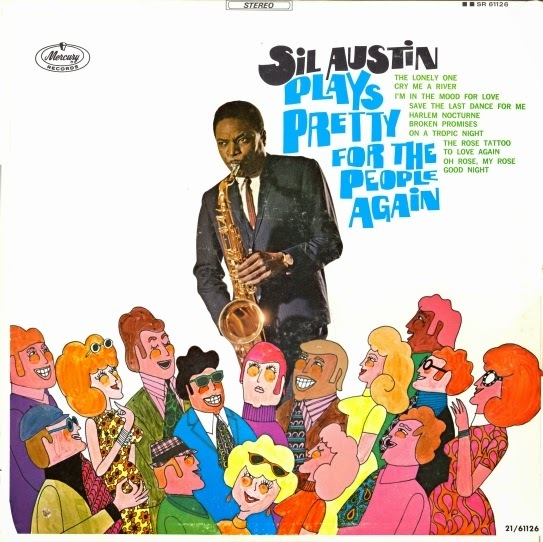 This 1967 follow up to "Sil Austin Plays Pretty For The People" was donated by Oracle, who ran a cool retro/jazz/lounge/latin blog called Portal Of Groove which is sadly no longer with us. 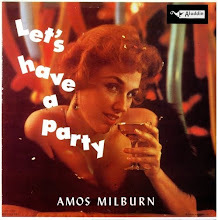 The front cover, which appears to be populated by refugees from "Yellow Submarine", jars somewhat with the 1940s / 50s look of Be Bop Wino but Sil still looks pretty cool. 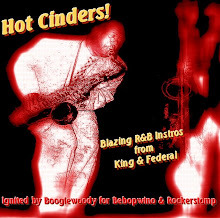 Coming soon - more Big Apple sax blast with Freddie Mitchell, Buddy Lucas and Jesse Powell. 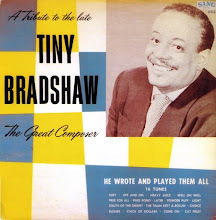 PLUS Tiny Bradshaw - the band which featured Red Prysock, Sil Austin and Noble Watts, although not all at the same time! 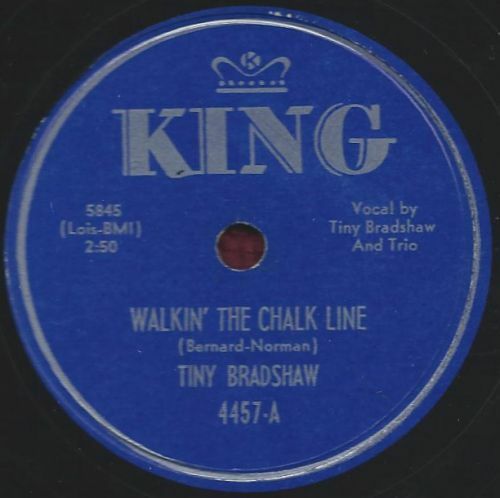 Recorded in Los Angeles, on February 18th, 1949. Released on February 29th, 1949. 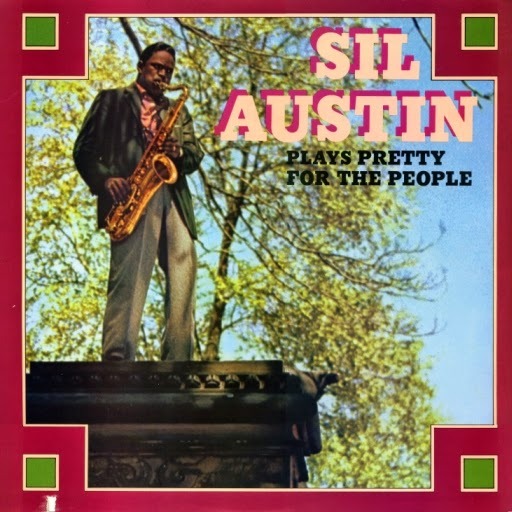 Personnel: John Anderson (trumpet); Gene Montgomery (tenor sax); Richard Brown (baritone sax); Devonia "Dee" Williams (piano); Charles "Chuck" Norris (guitar); Morris Edwards (bass); Roy Porter (drums). 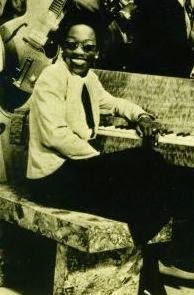 Devonia Williams was for many years the pianist in the Johnny Otis band. 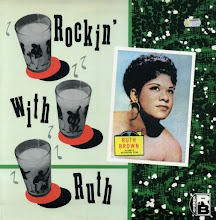 In 1949 she recorded some sides under her own name - "Bongo Blues" / "Dee's Boogie" was released as by the "Dee Williams Sextette" and "Midnite Creep" / " Double Trouble Hop" (Savoy 716) was released as by "The California Playboys." "Bongo Blues" sold well. 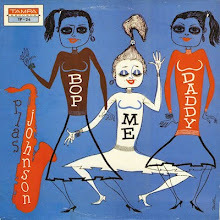 Billboard rated it highly: "Smart amalgam of Cu-bop and Harlem Jump, with the inevitable honk tenor to insure (sic) commercial potential." "Dee's Boogie" wasn't rated so highly: "Formula romper in the loose wig manner: pounding rhythm, one-note tenor solos with answering riffs." 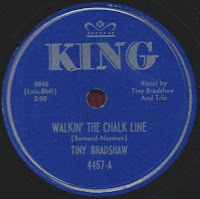 The above line up is a good example of how musicians in 1940s Los Angeles could shuttle back and forth between jazz and R&B gigs. 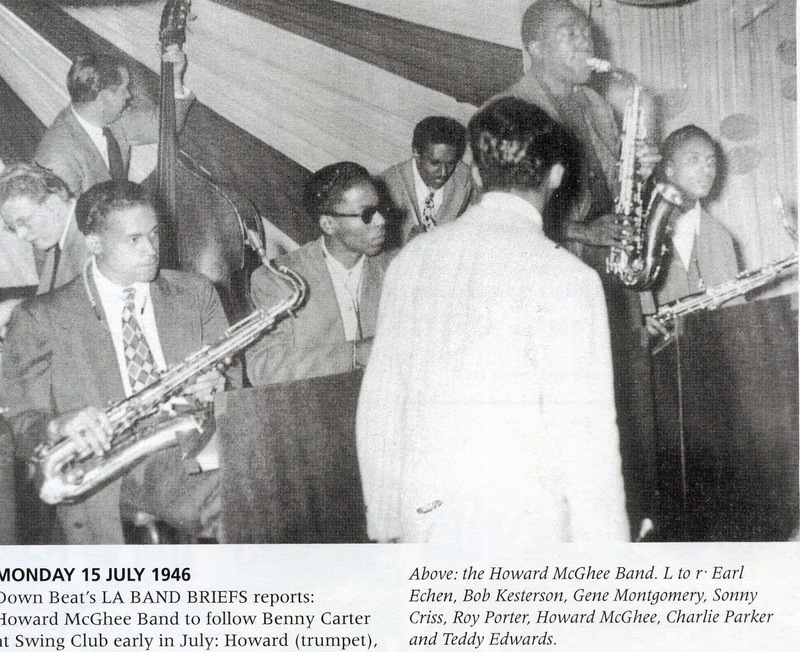 Gene Montgomery and Roy Porter were both members of the Howard McGhee band which in 1946 also featured Charlie Parker and Sonny Criss. 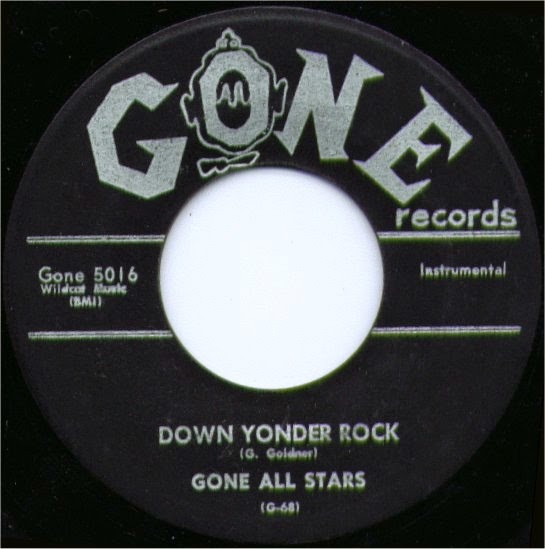 "Blow, Gene, Blow" is an unreleased track from the Dee Williams session which gives us a chance to hear Gene Montgomery stretching out a bit. 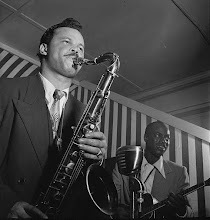 He can also be heard on "What Is This Thing Called Love" which was recorded at the same 1947 Elks Hall jam session which gave us "The Hunt" in which Wardell Gray and Dexter Gordon squared off against each other. 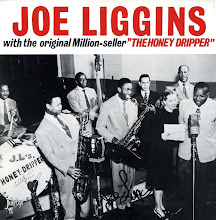 On "What Is This Thing Called Love" tenor sax duties are carried out by Gene Montgomery and Wild Bill Moore. 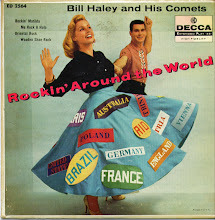 Yep, the Wild Bill Moore of "We're Gonna Rock" fame. 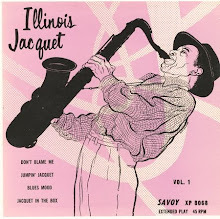 Coming soon on Be Bop Wino: more NYC rocking R&B sax from Sil Austin, Buddy Lucas and Jesse Powell, a very weird 78 rpm disc by Tadd Dameron's Big Ten, courtesy El Enmascarado, and an all day drinking session with The Clovers, with input from Joan. Also in the pipeline - just what is the truth behind The Twist? 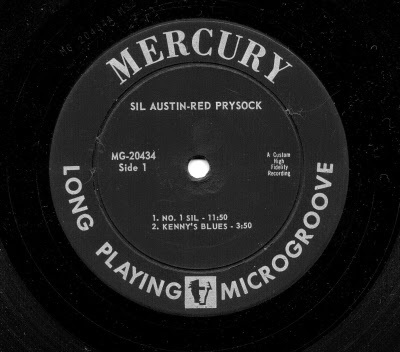 And There's Good News Tonight > There's Good Blues Tonight > There's Good Rockin' Tonight. Plus whatever else takes my fancy! On with the Big Beat honkfest! 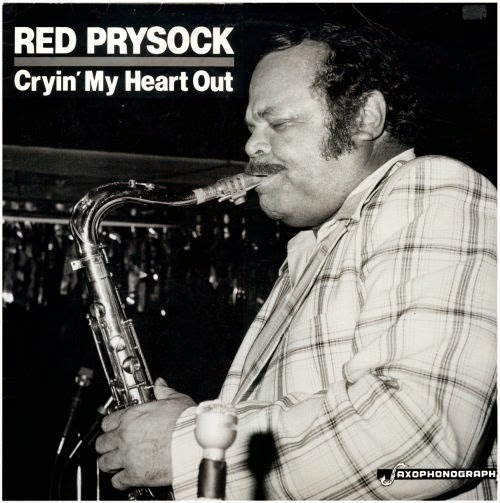 In this post we feature updates to previous Red Prysock posts, especially the revamped "Cryin' My Heart Out" Saxophonograph LP. 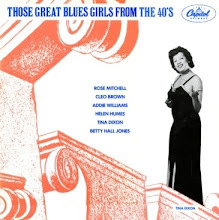 For a little bit of fun I thought I'd come up with a new front cover which is more "in period" as it utilizes a 1940s photo of Red with Tiny Grimes in New York. 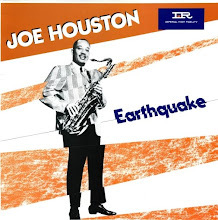 The real cover and label artwork is below. 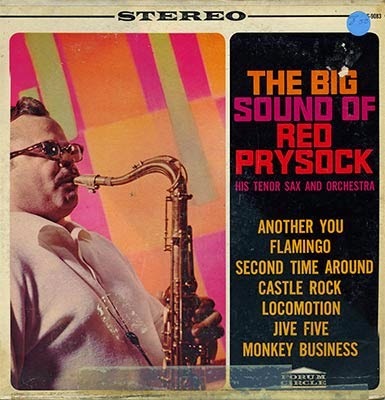 I can't find any discographical information on this release but having listened to it earlier today I can say that "Castle Rock" is one of the best honk tracks I've ever heard. Coming soon - more New York honk with Sil Austin, Buddy Lucas and Freddie Mitchell. 5. Joe Morris - Wow! 4. Willis Jackson - Rock! Rock! Rock! 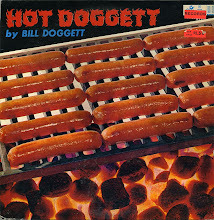 LP cover from the PopBopRockTilUDrop blog. Ah yes, there's nothing like a bit of rock 'n' roll exploitation to bring in the money, and here's as fine an example as any, although with a lot more class than budget label "Hen Gates" albums. 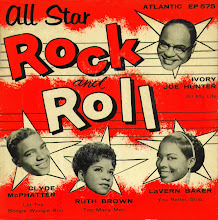 Atlantic Records, despite being the premier R&B label in the land, wasn't above recycling its back catalogue under a slightly misleading cover. 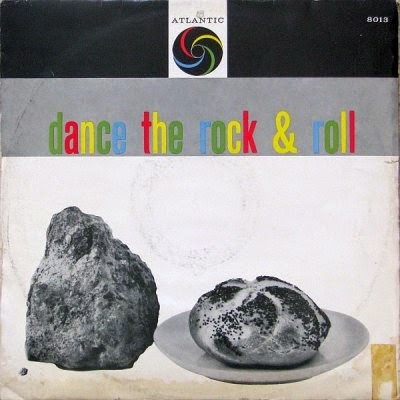 They even had a Ray Charles twist album, and to describe the tracks on "Dance The Rock & Roll" as, well, rock 'n' roll, was surely stretching things a bit. 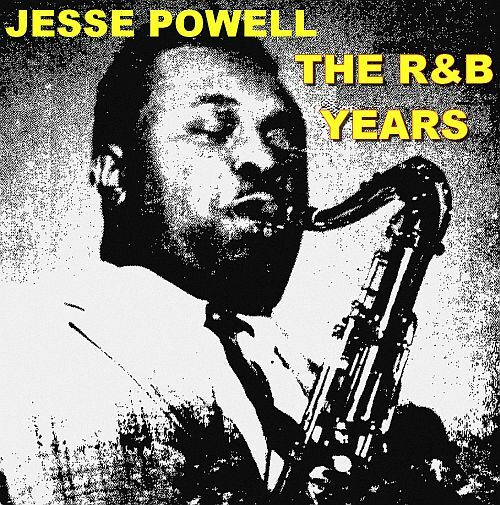 That said, from a 21st century perspective this is a fine collection of R&B sax tracks. They date from 1948 through to 1955. 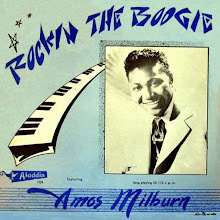 No doubt some of them could be considered to be genuine rock 'n' roll or as near as dammit, but Tiny Grimes, Joe Morris and Frank Culley surely don't come under that description. 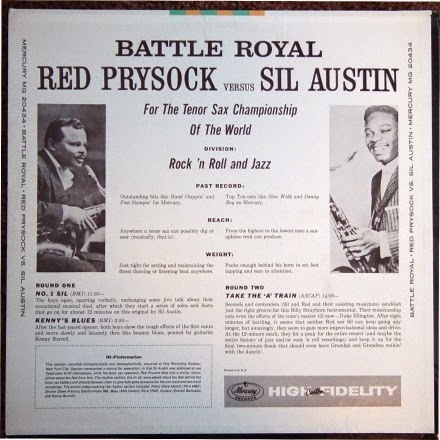 Fifty six years later, however, arguing over which tracks can be described as R&B, rock 'n' roll, or even jazz just doesn't seem to matter any more. 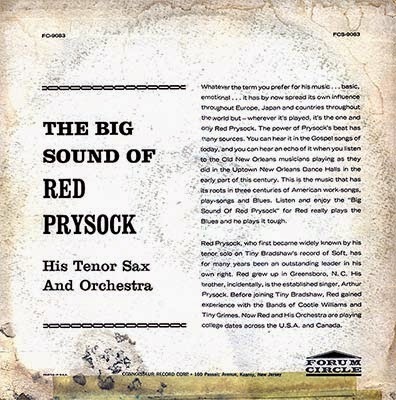 It's a cracking collection of New York Big Beat Honk with, as well as the credited artists, Hal Singer, Sam "The Man" Taylor, Red Prysock, Lee Allen (on temporary transfer from New Orleans) and Johnny Griffin on board. 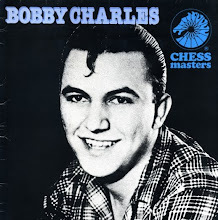 "Chuck Calhoun" is the pseudonym of Jesse Stone who was very much the creator of the backbeat based Atlantic sound of the 1950s. 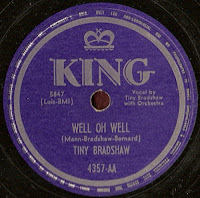 This is a reconstruction of the original LP. 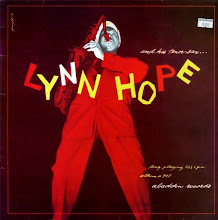 Twelve of the fourteen tracks are from the "Atlantic Honkers" double LP set. The exceptions are the Tiny Grimes and Tommy Ridgley tracks which are from the first two volumes of the double LP series "Atlantic Rhythm And Blues 1947 - 1974." 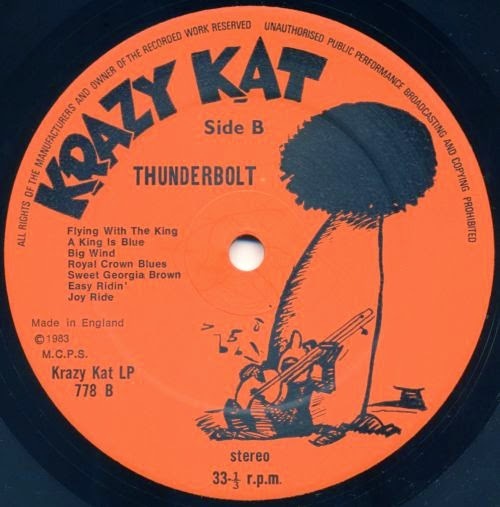 The cover is from the admirable PopBopRockTilUDrop blog. 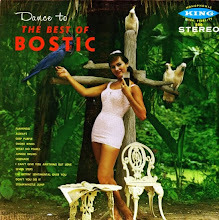 It is probably the worst designed LP cover in the entire history of recorded music, but don't let that put you off. 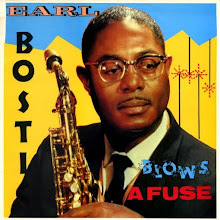 Download this latest episode of the Big Beat Honkfest and play loud, loud, loud! 11. 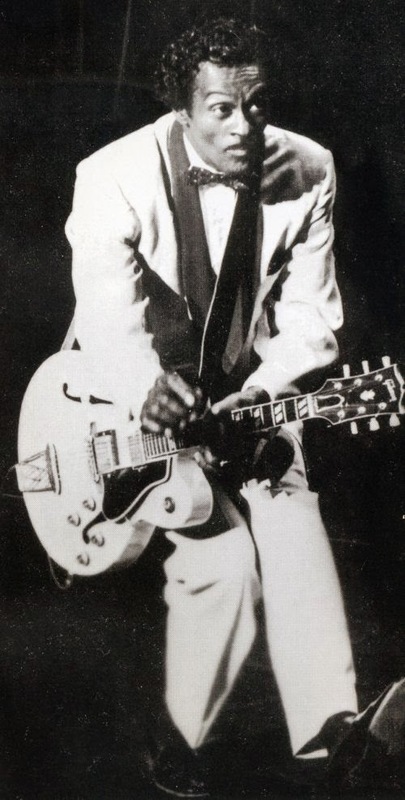 Willis Jackson - Rock! Rock! Rock! 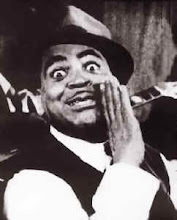 Willis Jackson (tenor sax) - "Gator's Groove" and "Rock! Rock! Rock!" recorded in NYC on May 23rd, 1952. Rest of personnel unknown. 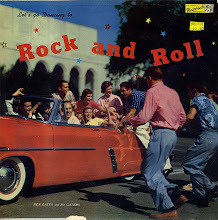 "Rock! Rock! Rock!" 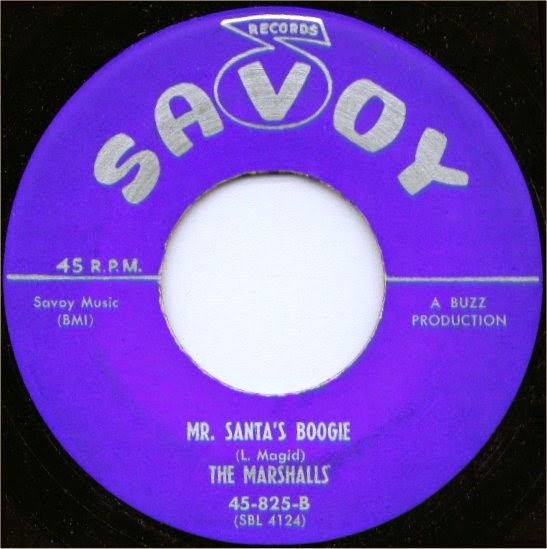 originally released on Atlantic 976. 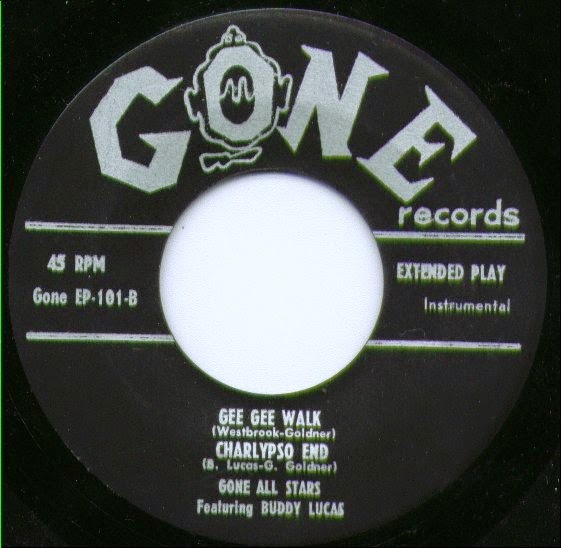 "Gator's Groove" originally issued on Atlantic 975. 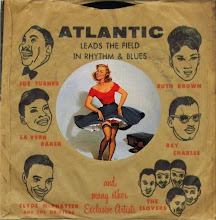 Chuck Calhoun and his Atlantic All-Stars - "Hey Tiger" and "Barrel House" recorded in NYC on 24th June, 1955. 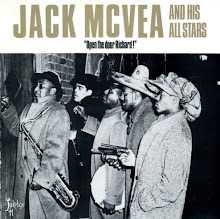 Personnel: Jesse Stone, aka "Chuck Calhoun" (leader, arranger); Hal Singer, Sam "The Man" Taylor (tenor saxes); Mickey Baker (guitar), rest unknown. 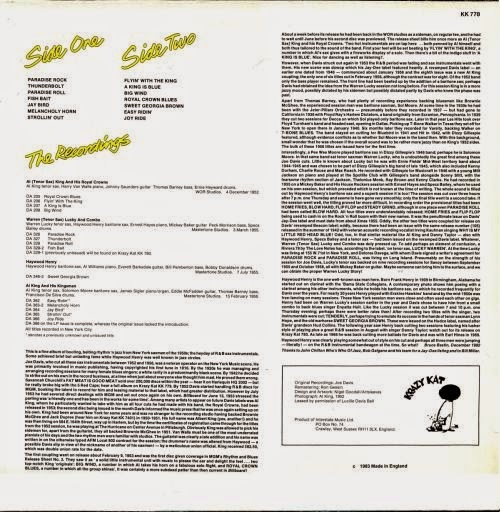 Both sides originally released on Atlantic 1120. 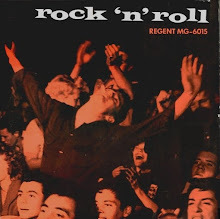 Tommy Ridgley - "Jam Up" recorded in NYC, August 8th 1954. 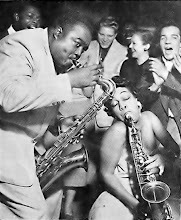 Personnel: Lee Allen (tenor sax); Alvin "Red" Tyler (baritone sax); rest unknown. 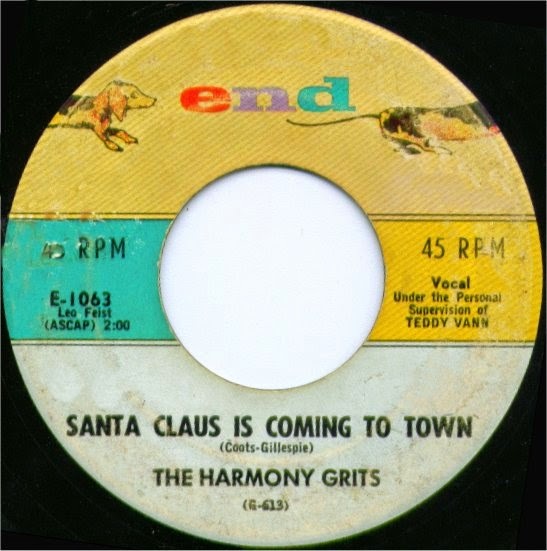 Originally released on Atlantic 1039. 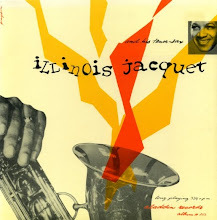 Arnett Cobb - "Mr Pogo" recorded NYC, 19th April, 1954. 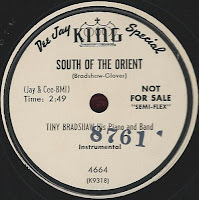 Personnel: Ed Lewis (trumpet); Al Grey (trombone); Arnett Cobb (tenor sax); Charlie Ferguson (tenor and baritone saxes); George Rhodes (piano); Walter Buchanan (bass); Al Walker (drums); Bill Sanford (arranger). 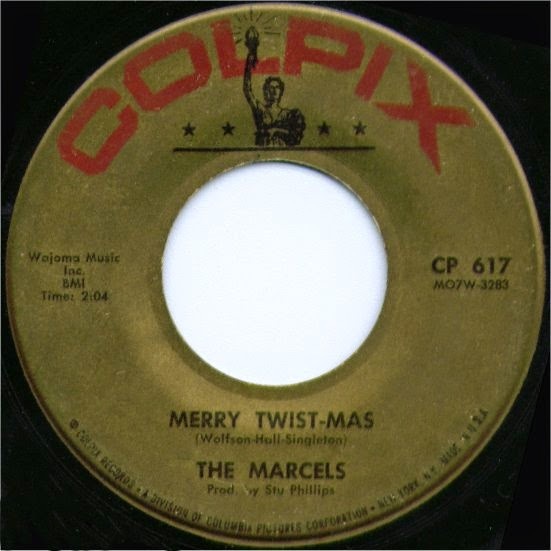 Originally released on Atlantic 1042. 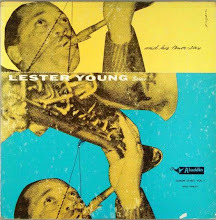 "Light Like That" and "Flying Home Mambo" recorded in NYC on January 19th, 1955. Personnel same as for "Mr Pogo". Both sides originally released on Atlantic 1056. Joe Morris - "Wow!" 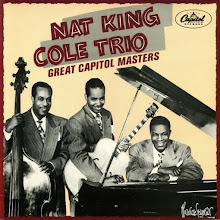 recorded in NYC on September 19th, 1948. 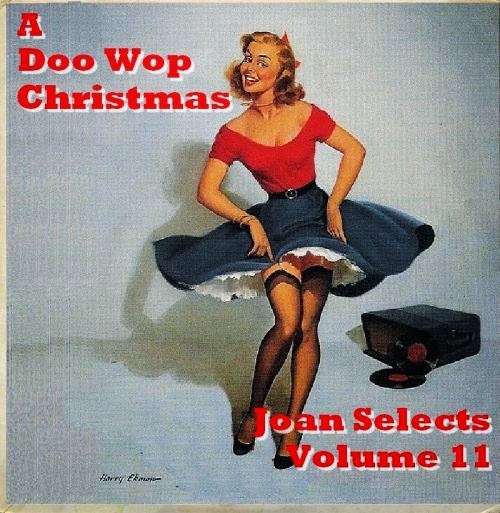 "Weasel Walk" recorded in NYC on December 22nd, 1948. 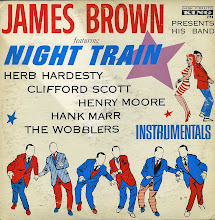 Personnel on both tracks: Joe Morris (trumpet); Matthew Gee (trombone); Johnny Griffin (tenor sax); Bill McLemore (baritone sax); Elmo Hope (piano); Percy Heath (bass); Philly Joe Jones (drums). 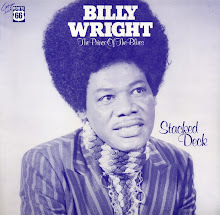 Both sides originally released on Atlantic 870. 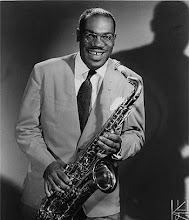 Frank Culley - "Hop 'n' Twist" (aka "Fish Tail") recorded in NYC, September 1949. 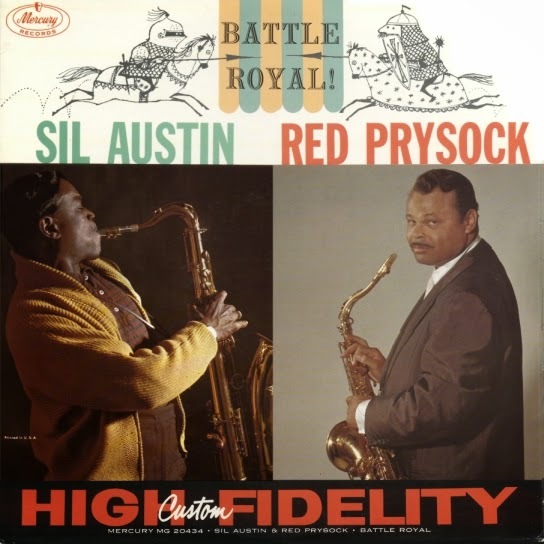 Personnel: Frank Culley (tenor sax); Harry Van Walls (piano); rest unknown. Originally released on Atlantic 902. 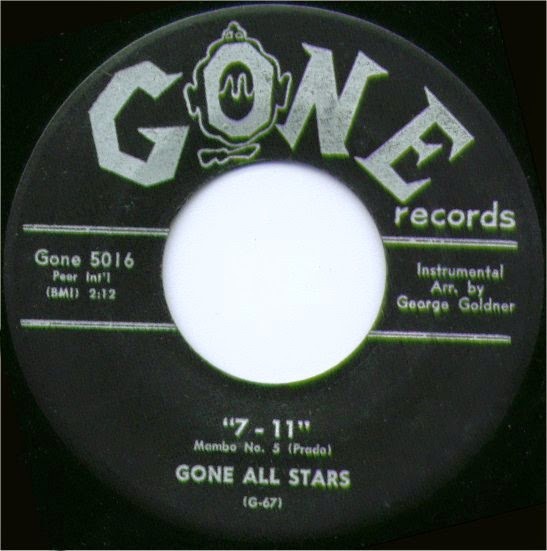 "Gone After Hours" recorded in NYC, August 12th, 1950. 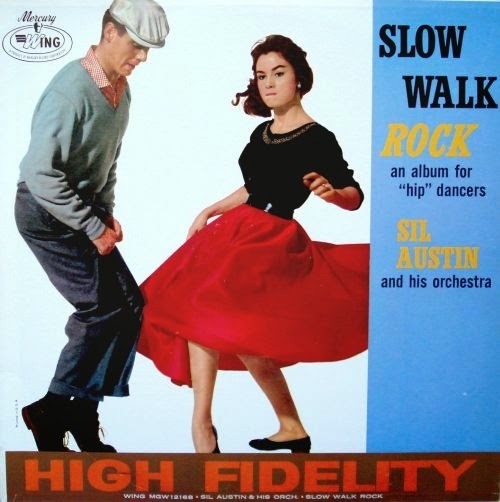 Personnel as for "Hop 'n' Twist." Originally released on Atlantic 922. 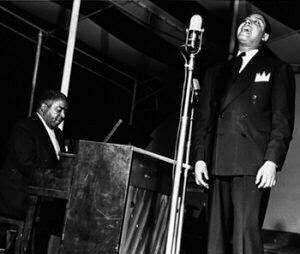 "Culley Flower" recorded in NYC on 27th February, 1951. 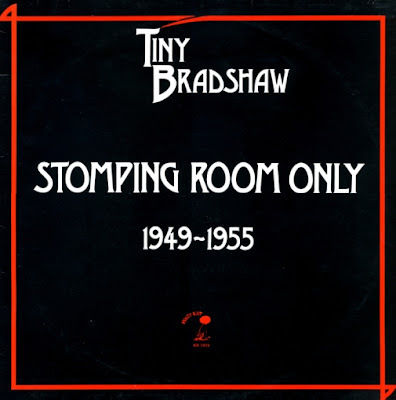 Personnel: Wallace Wilson (trumpet); Walter "Phatz" Morris (trombone); Frank Culley (tenor sax); Randy Weston (piano); Count Edmondson (bass); Connie Kay (drums). Originally released on Atlantic 935. 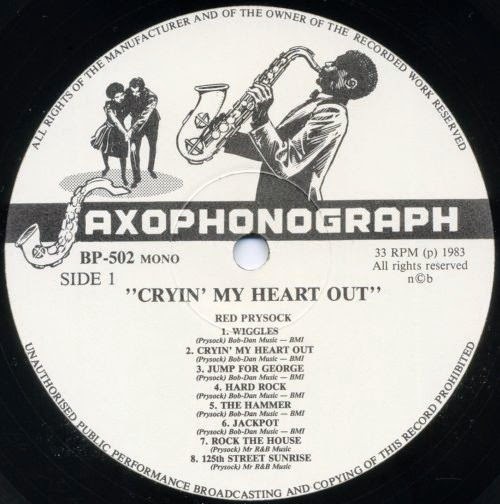 Tiny Grimes - "Midnight Special" (aka "See See Rider") recorded in Cleveland on May 1st, 1948. Personnel: The Tiny Grimes Quintet - Red Prysock (tenor sax); Jimmy Saunders (piano); Tiny Grimes (guitar), Ike Isaacs (bass); Jerry Potter (drums). 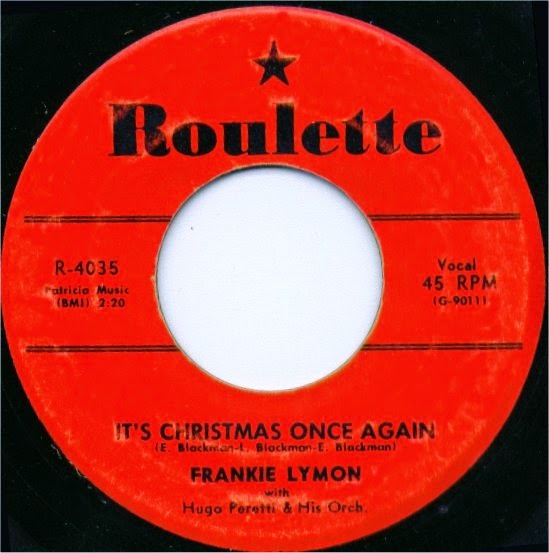 Originally released on Atlantic 865 (B side of "Annie Laurie"). 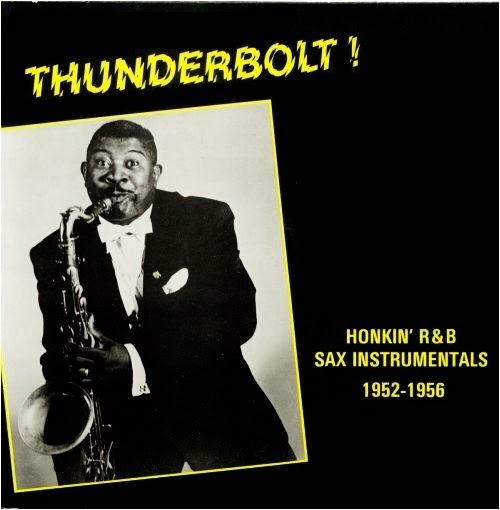 Al King, Warren Lucky and Haywood Henry - Thunderbolt! Ripped from vinyl at 320 kbps. This is a re-up of an LP I posted back in March 2008. I've added new front and back cover scans along with label scans. Back when I originally posted this album I hadn't worked out how to scan a complete LP cover so here, very belatedly, is a properly reproduced set of covers. I recently reread the John A. Jackson biography of Alan Freed, "Big Beat Heat" which is one of my favourite R&B / rock 'n' roll books. 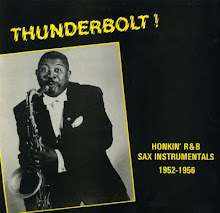 It has rekindled my interest in the sax driven band sound that Freed used for his live rock 'n' roll shows, starting with Paul Williams at the infamous Moondog Coronation Ball in Cleveland in 1952. Later he had the Buddy Johnson band and even the Count Basie band provide accompaniment for his theater and studio shows. 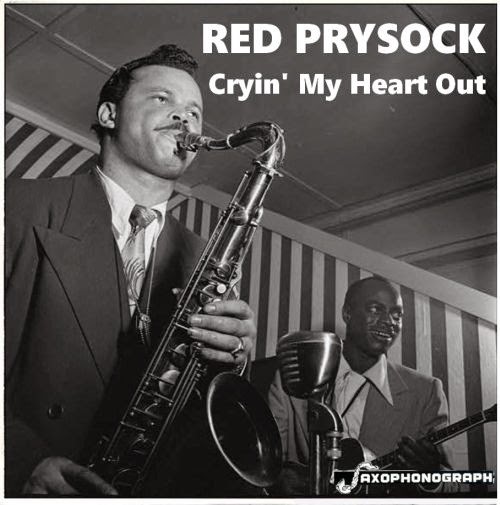 He also organised his own Alan Freed Big Rock 'n' Roll band in which at various times prominent New York based sax players such as Freddie Mitchell, Sam "The Man" Taylor, Buddy Lucas, Red Prysock and Big Al Sears served. 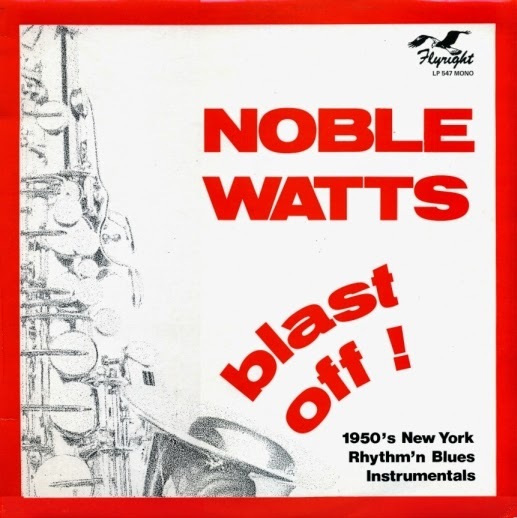 So fired up by all this Big Beat sax action, I'll be embarking on a series of posts of the finest NYC rockin' instrumental sounds of the mid 1950s. The bad news is that most of them are re-ups, but there will be new stuff mixed in there too. Re-ups will all feature upgraded cover and label scans and revised tagging so that they can be downloaded straight to your rockin' media player. There is of course another reason for so many recent re-ups. Although existing Rapidshare links on the blog still appear to be working, I don't expect this to last much longer. After a drastic and mistaken change to their pricing policy which now includes the cessation of its free upload service, I expect that Rapidshare will soon disappear. I am therefore trying to transfer stuff over to zippyshare and I am also taking the opportunity to upgrade posts from the early days of the blog. 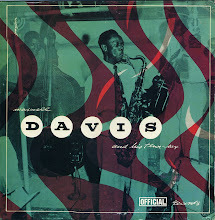 This LP features rockin' sax instros from the Joe Davis group of labels. I've added information I've found on the the release of these sides along with some Billboard reviews I found online. These reviews tend to be pretty unflattering, but the music contained herein is still more than worthy of your rockin' attention. Depend upon it, honk fans! 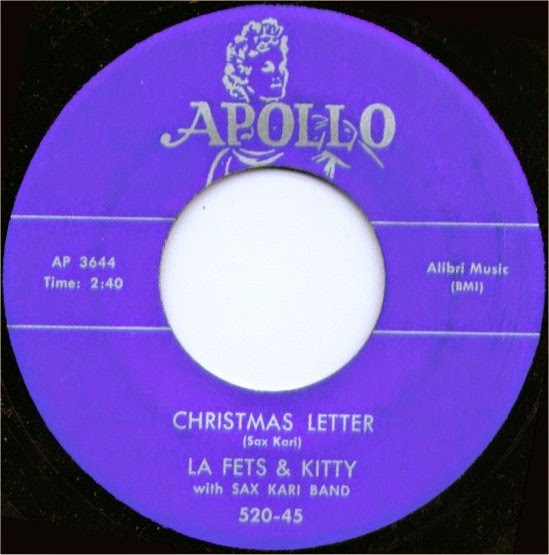 Recorded as by Al (Tenor Sax) King and His Royal Crowns, NYC, December 4th 1952. Remainder of this session unreleased. Sweet Georgia Brown / Tenderly released on Hudco, 1955. 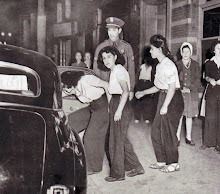 Philo 103, recorded in Los Angeles in July, 1945. 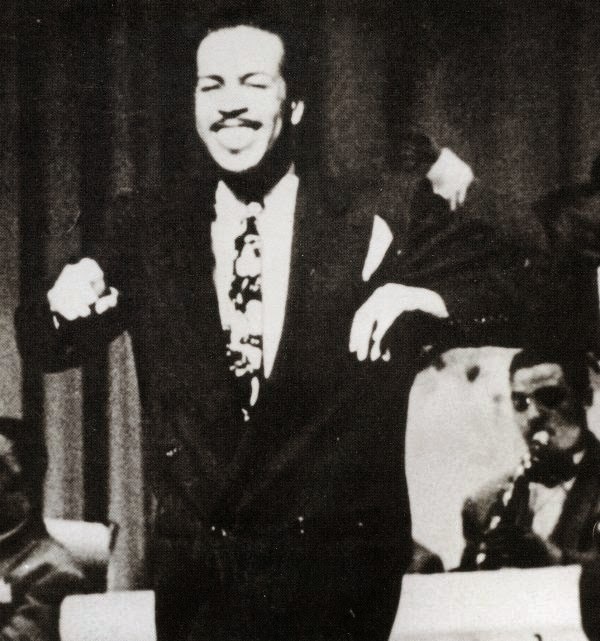 Personnel: Wynonie "Mr Blues" Harris (vocal) accompanied by Johnny Otis' All Stars - Teddy Edwards (tenor sax); Lee Jones (piano); Stan Morgan (guitar); Bob Kesterton (bass); Johnny Otis (drums). Also at session but not audible on these sides - Howard McGhee (trumpet). 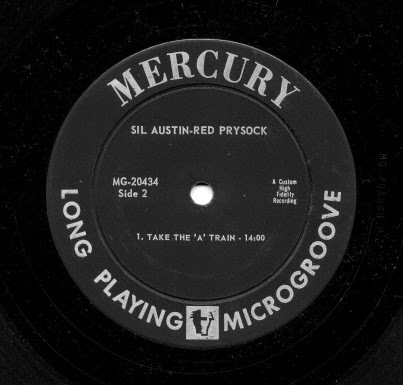 Stag 508, recorded in San Francisco in November, 1947. 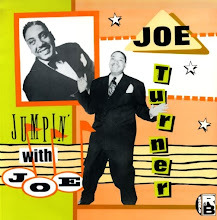 Personnel: "Big Vernon" (Joe Turner) vocals; Pete Johnson (piano). In our previous post we looked at the possible origins of "Around The Clock" in Trixie Smith's "My Man Rocks Me" from 1922. 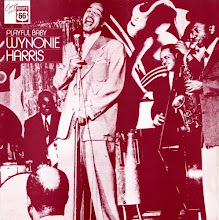 The Wynonie Harris two parter on Philo (soon to become Aladdin Records) kicked off a series of cover versions by Jimmy Rushing (with Johnny Otis), Numa Lee Davis (with Russell Jacquet), Willie Bryant, Pearl Traylor (with Howard McGhee) and "Big Vernon" who was Big Joe Turner going under a pseudonym. And then again I believe I don't." 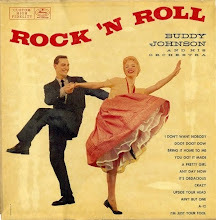 This introduction to the Wynonie version will be familiar to rock and roll fans - Chuck Berry used it in his recording of "Reelin' And Rockin'" which I guess is a continuation of the "Around The Clock" theme, only with the activity described now being dancing at the teen hop. Times and audiences had changed by 1958. 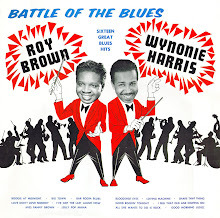 So to our battle of the blues - Wynonie v Big Vernon. Who is the winner? 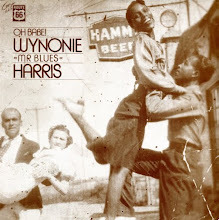 Wynonie with his jazz band backing or Joe with just his old cohort Pete Johnson bangin' the boogie on the keyboard? You decide! I was dancin' with a woman that was twice my size"